West Palm Beach Criminal Defense Lawyer | Law Offices of Greg Rosenfeld, P.A. 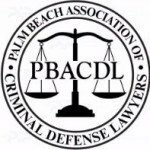 Work with a trial-tested and highly recognized West Palm Beach defender. At the Law Offices of Greg Rosenfeld, we offer powerhouse legal defense that comes highly recommended by past clients and legal peers alike. Whether you are staring down your first misdemeanor charge or you stand accused of multiple felonies, we offer the trial-tested advocacy you need and deserve. Our West Palm Beach criminal defense attorney has defended clients charged with everything from DUI to attempted first-degree murder. Having defended clients in 40+ trials, he is backed by a proven track record of defense victories. Whatever criminal charges you face in Florida, we can fight for your liberty and future. Call (561) 475-5550 or email us today to set up your FREE defense consultation with an award-winning criminal defense attorney in West Palm Beach! Throughout his entire legal career, Attorney Greg Rosenfeld has always fought for the defense. He has handled dozens of trials, even appearing before the Fourth District Court of Appeal. He has garnered top ratings from clients and is highly regarded in the legal community, garnering selection for Super Lawyers® Rising Stars℠, a list which includes no more than 2.5% of young Florida attorneys. Martindale-Hubbell®, a prestigious organization that uses peer and client reviews to rate the best attorneys in the country, has given Attorney Rosenfeld an AV Preeminent® rating, the highest possible. Additionally, Mr. Rosenfeld is the Immediate Past President of the Palm Beach Association of Criminal Defense Lawyers and a member of The National Trial Lawyers: Top 40 Under 40.